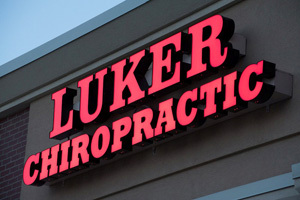 Luker Chiropractic, located in Broken Arrow, provides high quality chiropractic care to Coweta and Tulsa residents since 2006. Dr. Cody Luker uses a variety of chiropractic techniques, including the Diversified, Thompson, Activator, and Gonstead methods. Dr. Luker also focuses on upper and lower extremity techniques. At Luker Chiropractic, we do our best to make sure that patients feel welcome and comfortable. We will answer questions you have, whether it is your first visit or your 20th. We believe in high quality chiropractic care and strive to provide a lasting experience patients won’t soon forget. If you are looking for a chiropractor in the Broken Arrow area that cares about his patients long-term health and wellness, look no further. Call our Broken Arrow chiropractic office today to schedule an initial consultation with Dr. Luker. Serving the Broken Arrow, Coweta and Tulsa communities. It feels good to finally find someone who wants to help get you feeling better, and actually seeing results! Dr. Luker and his staff are continually professional and courteous. I highly recommend him. What a great solution to a common child ailment! Parents, I urge you to try Luker Chiropractic for the health of both you and your children. Dr Luker has given me hope and I thank him for that. Also, the encouraging words from Jenny and Shandra are welcoming. Thank you for being such a caring group of people.